This book was really intriguing, I really like the concept of being about to know someone’s emotions/memories just from touching their clothes. I loved the story behind the tree involving Odin, Hel and the Norns. 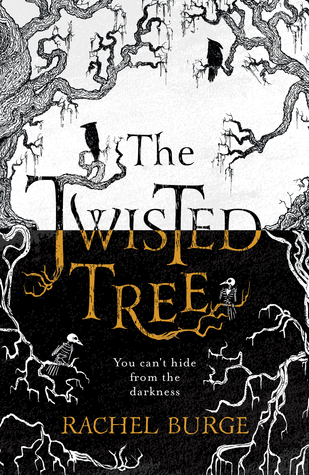 What I loved most was just how creepy the story was, I find a lot with ‘scary’ YA books that they’re not even remotely creepy and that is what is lacking in YA – actual creepy/scary books. I thought the way the creature was described was perfect, me being the clever person I am (HA! ), I thought it would be a good idea to read this in bed before going to sleep and could almost feel the draugr breathing down my neck. That being said I could only give this a 4 out of 5 stars, because once again, I could not deal with the naivety of Martha. Once again a book where a 17 year old girl meets a boy and is instantly falling for him, and thinking about kissing him, but ‘oh no what if he doesn’t like me that way’. I think I may have said it before but I need to reiterate that I love romance in books, but what I don’t like is the light that authors keep painting teenage girls in.